The Madworks seed accelerator in Madison, WI, one of several grant-based startup accelerators launched in the state last year, is starting to show some early, but small, success. Now its leaders intend to continue building momentum and fine-tuning the program as it begins its third session next month. Last summer, Madworks used a $90,000 grant from the Wisconsin Economic Development Corp. to fund a 10-week pilot program. Out of 70 applicants, 11 startups were chosen to receive up to $10,000 each in grant money, mentorship and training, office space, and access to services like graphic design and legal counsel. The startups ranged in sector from data analytics to medical devices, and included a mix of college students, university professors, and entrepreneurs from outside academia. A second round of WEDC money funded a part-time program in the fall that offered similar services to a new group of 10 startups that received $3,000 each, says Anne Smith, a founder of the accelerator and the University of Wisconsin Law School’s Law & Entrepreneurship Clinic. The idea was that the Madworks accelerator could bridge the gap between programs like Discovery to Product—a new University of Wisconsin-Madison initiative that helps students and professors develop their ideas to the point of company incorporation or product licensing—and more established startup accelerators like Wisconsin-based Gener8tor. Over the past decade, there has been a nationwide proliferation of for-profit startup accelerators like Y Combinator, Techstars, and Gener8tor, which provide angel investments and three months of mentorship in exchange for a stake in companies. The goal is to give the startups a boost and help guide them to further funding and, eventually, an acquisition or initial public offering that would generate a healthy return on the accelerator’s investment. In Wisconsin, the focus of some startup supporters has started to shift upstream to earlier-stage companies. A handful of new local programs—backed primarily by government, universities, and foundations—are offering services similar to traditional accelerators, but are doling out grants to startups in lieu of equity investments. 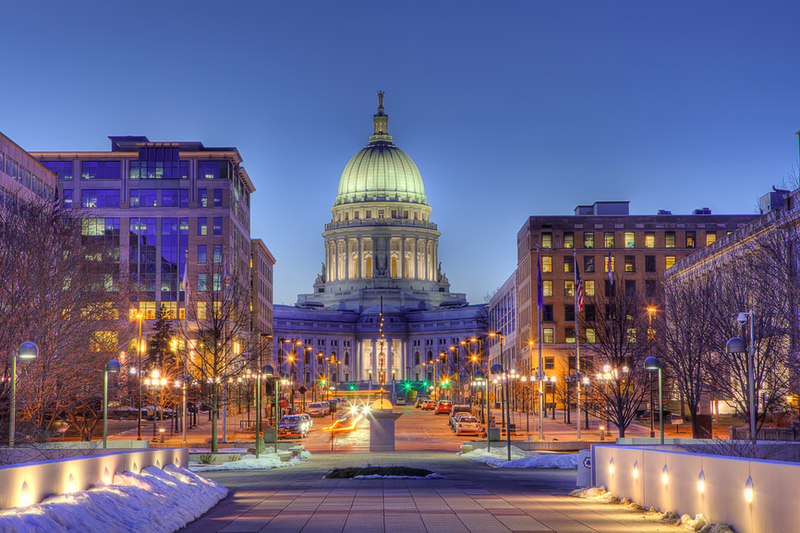 Such initiatives include the Launch Box Growth Accelerator in Racine; Bridge to Cures, VictorySpark, and the BREW in Milwaukee; and Madworks and Discovery to Product in Madison. The open question is whether or not these programs can move the needle on entrepreneurship in the state. It’s still early, but the Madworks accelerator seems to be having an impact, Smith says. “We want to just keep doing what we can,” she adds. A survey in late 2014 found that the accelerator’s first group of startups had collectively hired 40 people, raised $1.5 million from investors, and generated $345,000 in revenue, Smith says. (The investment figure has since grown because accelerator graduate SmartUQ tacked on more money to its seed funding round, which closed at $1.8 million.) To Smith’s knowledge, none of the program graduates have ceased operations. Those numbers aren’t exactly “knocking it out of the park,” but “they’re not bad numbers either,” Smith says. “The thing that is really motivating us is you see where [the participants] start and you see where they end, and there’s progress,” she says. Startups in different industries have been able to provide new perspectives and suggestions for their peers in the accelerator, Smith says. For example, the fall class included an organic veggie burger company working alongside software startups. “They look at it with fresh eyes. It causes people to think differently or look differently at things,” she says. However, as with the second program, Madworks will again offer some expertise and smaller grants to a group of applicants that were close, but didn’t make the final cut for the accelerator, Smith says. WEDC funding for the spring program has yet to be determined, but Smith is hoping to be able to offer participants grants of at least $3,000 each. So far, WEDC has allocated the full amount requested by Madworks, entrepreneurship program manager David Volz says. WEDC officials are happy with the accelerator’s progress, says Lisa Johnson, the agency’s vice president of entrepreneurship and innovation. “I think these programs just get better as they go along. They continue to learn things from each class,” Johnson says.